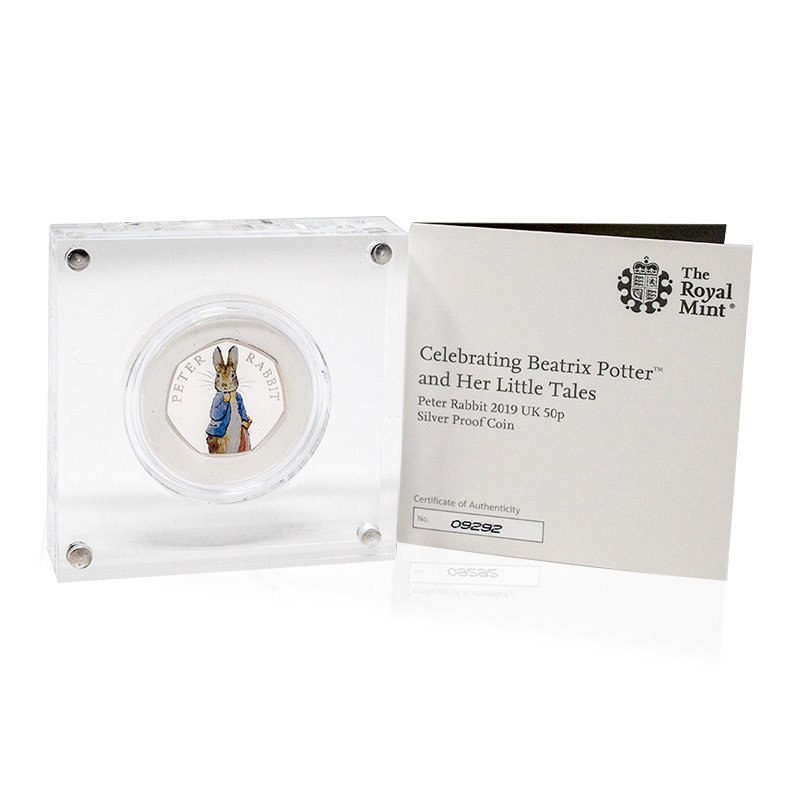 The Royal Mint first introduced the fifty pence Beatrix Potter coin collection in 2016 in commemoration her 150th birthday, Peter Rabbit coins have become the most popular of the character coins in this series. 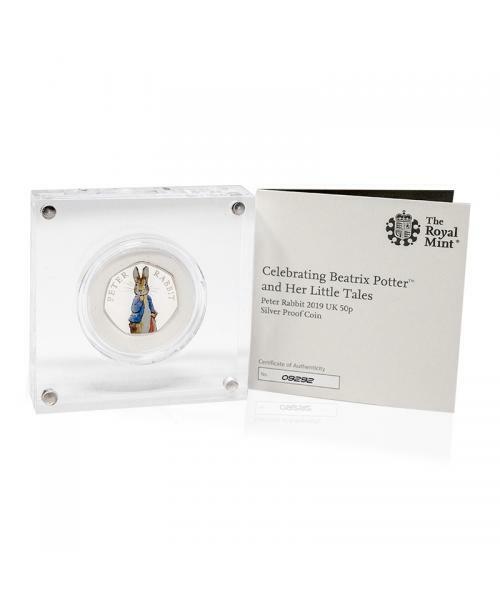 The Royal Mail have gone on to release a new Peter Rabbit coin every year since and this year sees the fourth coin in this massively popular collectors’ series. This Silver Proof coin has a limited mintage of only 30,000 of these coloured coins in this spectacular limited-edition presentation. The majority of these coins which were reserved almost immediately with The Royal Mint upon release making it a highly sought after collectable of the future as many will find their homes in much treasured private collections. Royal Mint coin designer Emma Noble has again had her now iconic illustration of Peter Rabbit featured on the reverse with a ‘Peter Rabbit’ inscription. The obverse features Her Majesty the Queen by engraver Jody Clark.